The ‘How to build trust in the security of cloud computing’ debate at the TechUK event was a huge success. For those who couldn’t make it, we’ve condensed the cloud security takeaways into a short blog. Despite its popularity, the broad scope of the cloud computing can still cause confusion for businesses. TechUK’s recent Cloud 20/20 white paper brought some interesting statistics to light. Currently, 9 out of 10 security professionals are still concerned about cloud security. 80% of designated budgets will be spent on improving this area of the cloud. Despite this, one-third of data loss still results from inadequate cloud security. 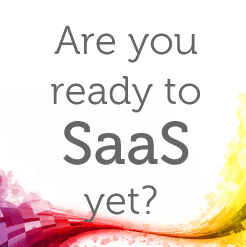 1 – Cloud computing is about commodity and a one size solution fits all. Unfortunately, many companies still believe that they have to purchase a ‘box solution’. However, whether you’re a large corporation or SME, cloud providers can offer you a tailored service that addresses a company’s specific requirements. ‘Where will my data be stored?’ is one of the first questions a company should ask a potential provider. Understandably, organisations are concerned about where the data centre is located, where their data resides and who has access to it. All these questions should be easily answered. 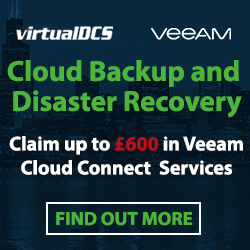 As an example, virtualDCS only partners with data centres in the UK. As we’re not affiliated with any American organisations, our customer’s data is protected from legislation such as the US Patriot Act. 3 – Unauthorised access, especially by the service provider themselves. Transparency is key and users should be clear on the lengths providers will go to protect user data from both hackers and law enforcement agencies. 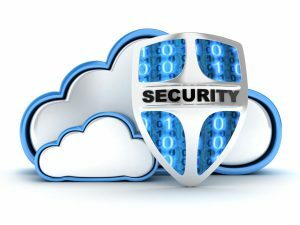 Having a frank conversation around the subject of security will mitigate any concerns a business has with a potential cloud provider. 4 – Transparency, audits and the volume of data. Cloud providers should have adequate monitoring tools in place. Once again, a discussion with any potential provider could obliterate these concerns. 5 – Lock in, data portability and the movement of data. How easy is it to upscale or downscale existing services? 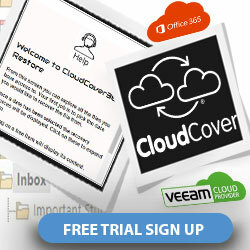 This can often vary between cloud providers and could potentially be down to discretion. Again, speak to the service provider to discuss this. Although understandable, these concerns can all be alleviated by simply having an honest conversation with your cloud provider and researching into their terms and conditions. If you’d like to speak to someone about cloud computing technology and for advice on receiving the most from the cloud, call 03453 888 327 or email enquiries@virtualDCS.co.uk.